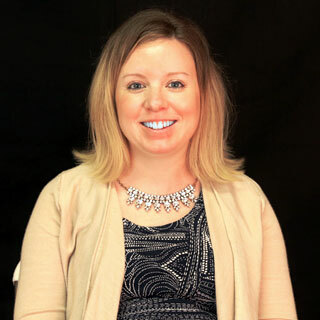 Megan Ferenczy is the Director of Education at the Virginia Holocaust Museum. Attending the University at Buffalo, Megan graduated with a bachelor’s degree in History and a minor in Education. She has taken coursework in Museum Studies and is also certified to teach middle and high school History in New York and Virginia. Megan has diverse experiences in education, museums, outreach and public programming. In 2008, she interned as a National Planning Assistant at the United States Holocaust Memorial Museum in Washington, DC. The Project aimed at increasing the Museum’s national presence through increased education and exhibition. Interning at USHMM solidified Megan’s interest in Holocaust history education. In 2011 Megan accepted a teaching job with Richmond Public Schools and for two years she taught 6th grade United States History at a specialty school. When teaching the history of the Holocaust in the classroom, Megan makes it a priority to remember and honor the victims. She continues that practice with the development of educational curriculum and programming at the Virginia Holocaust Museum. Megan recognizes that teaching Holocaust and genocide history allows for greater understanding of tolerance, and furthermore helps individuals to recognize the importance of civic engagement and the need for action to prevent future atrocities. Working with Holocaust survivors is an invaluable and life enriching opportunity and is Megan’s favorite aspect of her job.